Finally the Perfect Customer Gift! Kreuzritter is a limited single bottling of a maximum of 3,500 bottles per filling; awarded at the IWSC in London. 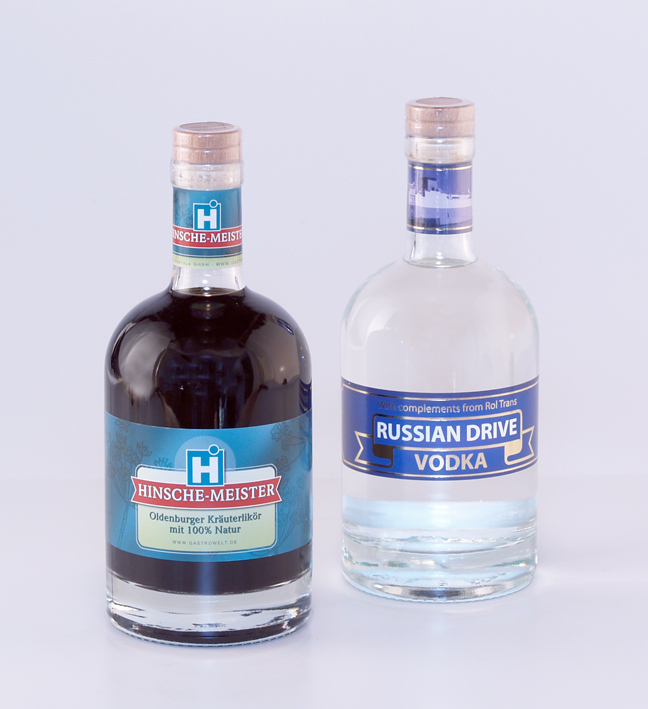 A herb liqueur with more than 50 selected herbs. 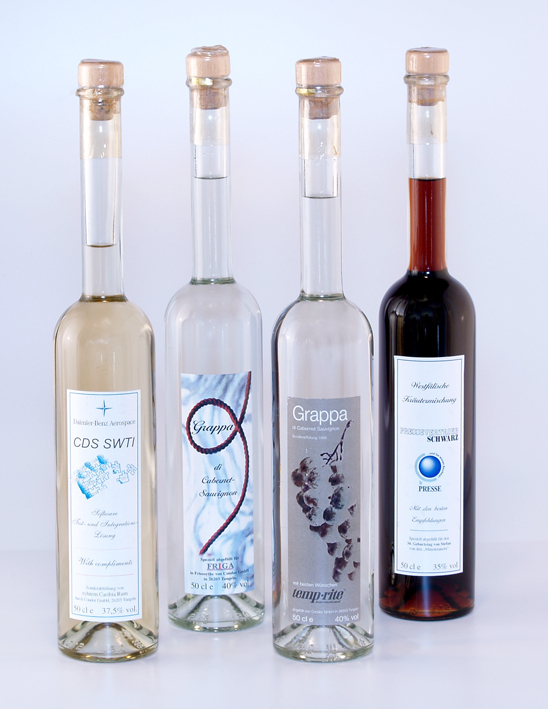 Or choose the Herzdame – a liqueur made of fruits par exellence – exclusively composed of selected and high-quality brands. Like the Kreuzritter, as a matter of course, „made by hand“, awarded at the IWSC and individually numbered from 1 to 3,500. 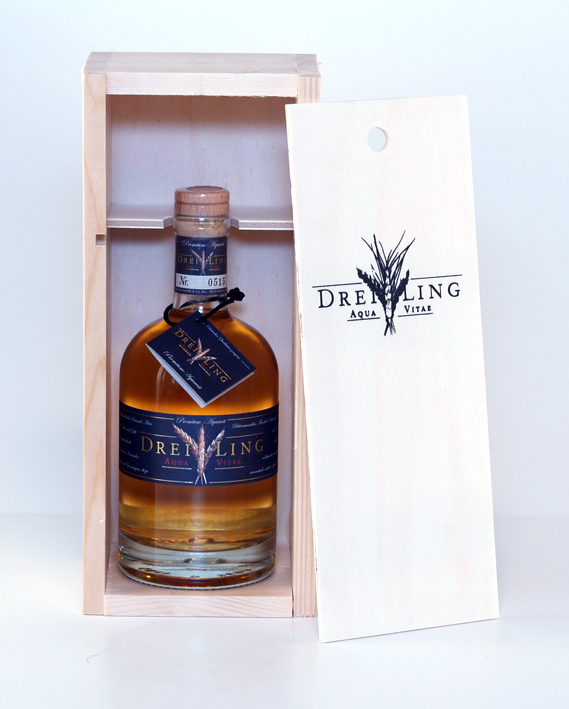 The latest trade fair novelty is our Dreiling – Aqua Vitae – a soothing, marvellously aromatic, mild and unique Aquavit. Cask stored brands made from wheat, rye and spelt as well as other “secret” ingredients are combined in this mild Aquavit. 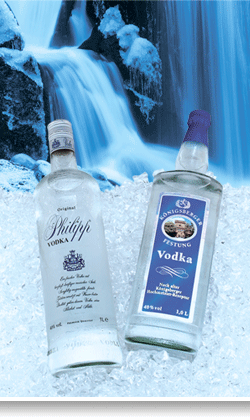 The most individual and expressive customer gift a high-quality spirit can be! 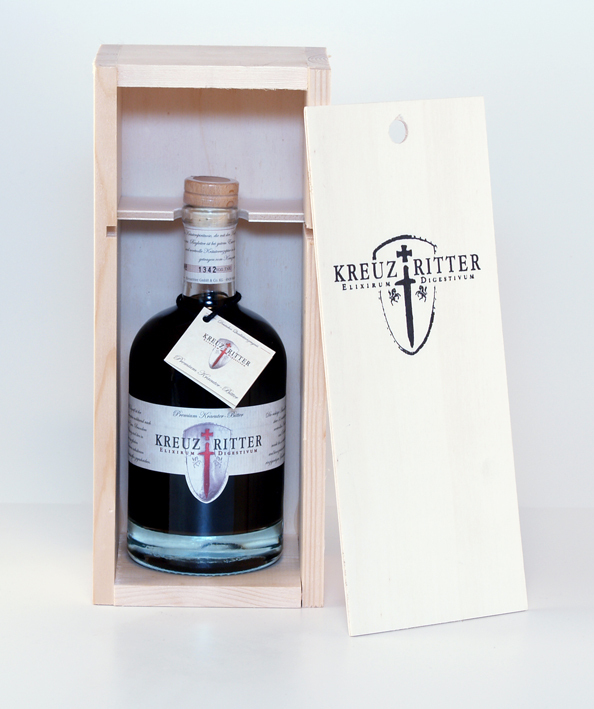 KREUZRITTER was developed with the intention to create a smooth and delicious digestif. The secret of KREUZRITTER as a digestion elixir is based on 11 secret herbs famous for their effect in the centuries-old Far Eastern herbalism. In addition KREUZRITTER contains 47 further extracts known in herbal medicine for their positive – partly digestion stimulating, partly stomach-soothing – effect. The altogether 58 extracts in the KREUZRITTER are combined with 30% vol. 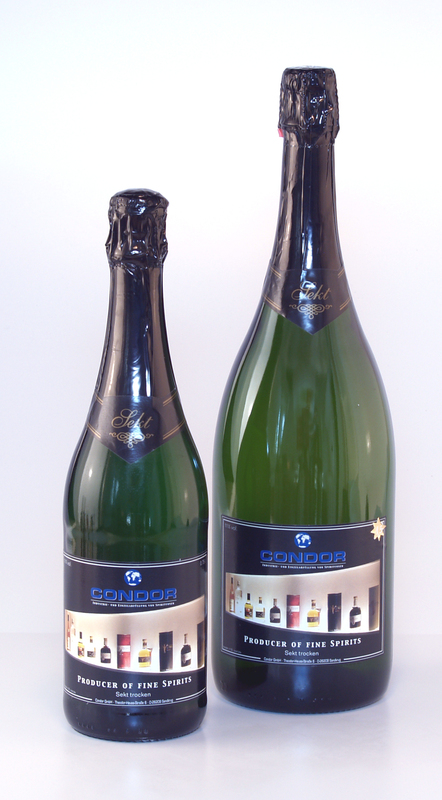 alcohol and a soft sweetness to a delicious elixir of ultimate quality, now available from CONDOR.